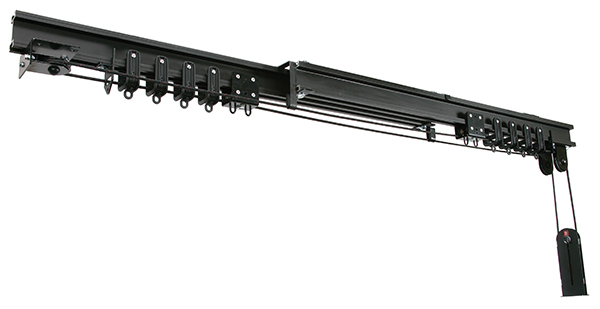 Unibeam is an aluminium extruded black anodised track section. The external dimensions are the same as the Unitrack system. The track is rigid enough to be used as a suspension beam and can be curved to a minimum radius of 1m. Unibeam uses the same component range as Unitrack, the difference is that the Unibeam section incorporates a ‘Tee’ slot in its upper and lower webs that accept standard channel nuts. Unibeam is perfect for permanent installations in heavy duty applications. See our product download for a more in depth look at the track and our datasheets area for technical information.